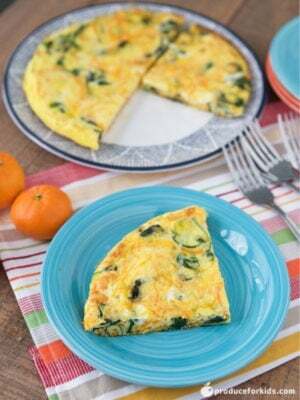 Get a restaurant-quality breakfast in less time than eating out with this easy Butternut Squash and Spinach Frittata. Save time in the morning by either spiralizing your butternut squash ahead of time or buying it already spiralized at your local grocery store! Serve alongside fresh fruit, roasted potatoes or whole wheat toast for a delicious breakfast. 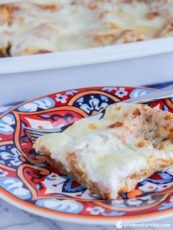 Recipe and photography by Aggie’s Kitchen. Get a restaurant-quality breakfast in less time than eating out with this easy Butternut Squash and Spinach Frittata. Save time in the morning by either spiralizing your butternut squash ahead of time or buying it already spiralized at your local grocery store! Serve alongside fresh fruit, roasted potatoes or whole wheat toast for a delicious breakfast. Recipe and photography by Aggie’s Kitchen. Heat butter in medium non-stick, oven-safe skillet over medium heat, making sure to coat pan. 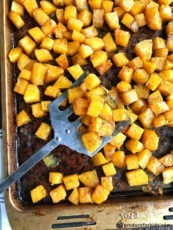 Add butternut squash and cook 5-6 minutes. Add spinach and season with salt and pepper. Continue to cook 2-3 minutes, tossing vegetables together gently, until spinach is wilted. While vegetables cook, whisk eggs and milk in a bowl. Stir in ¼ cup shredded cheese. Add eggs to pan. Let eggs set in pan 4-5 minutes. Bottom of eggs will become firm, top of eggs will still be uncooked. Add remaining ¼ cup cheese on top and carefully place skillet under broiler 2-3 minutes, or until completely cooked and lightly browned. Remove from oven. 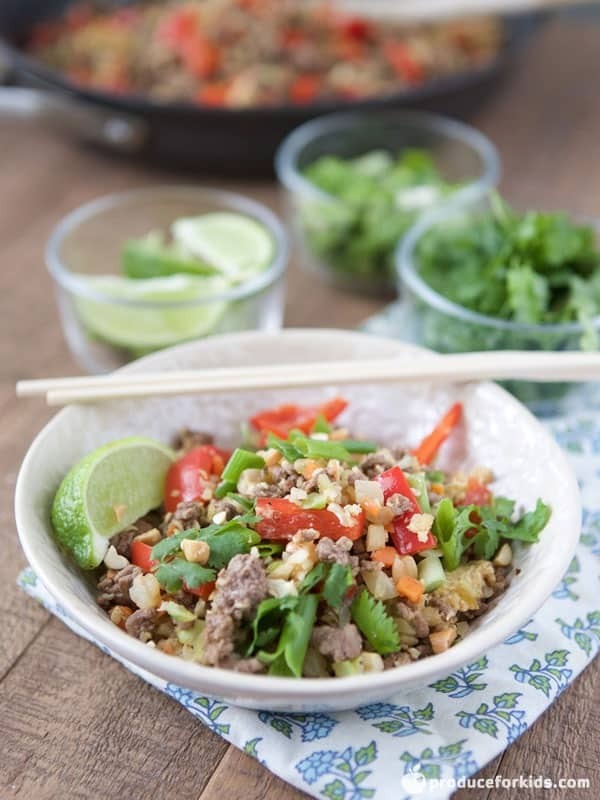 Let cool in skillet 1-2 minutes, then slide to large plate or cutting board. Cut into 4 pieces for serving.